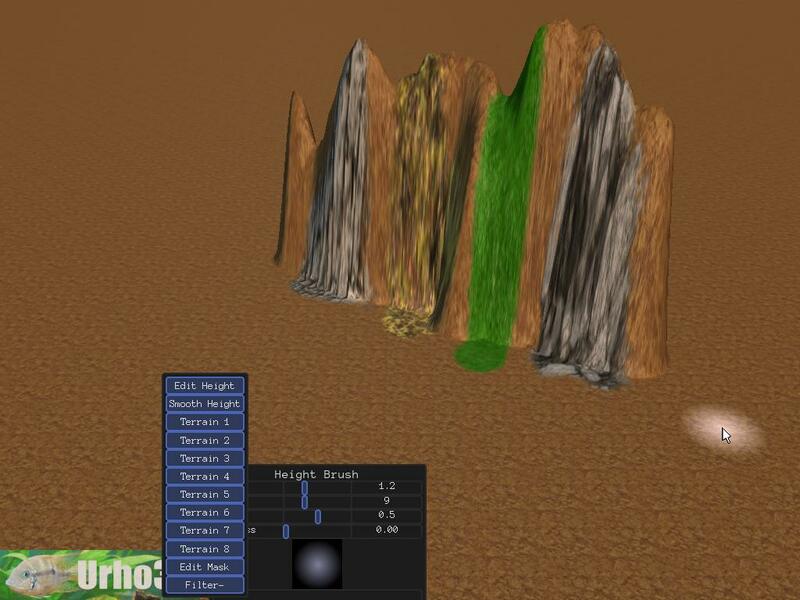 JTippetts has updated his terrain editor project to use the latest version (release 1.4) of Urho3D library. 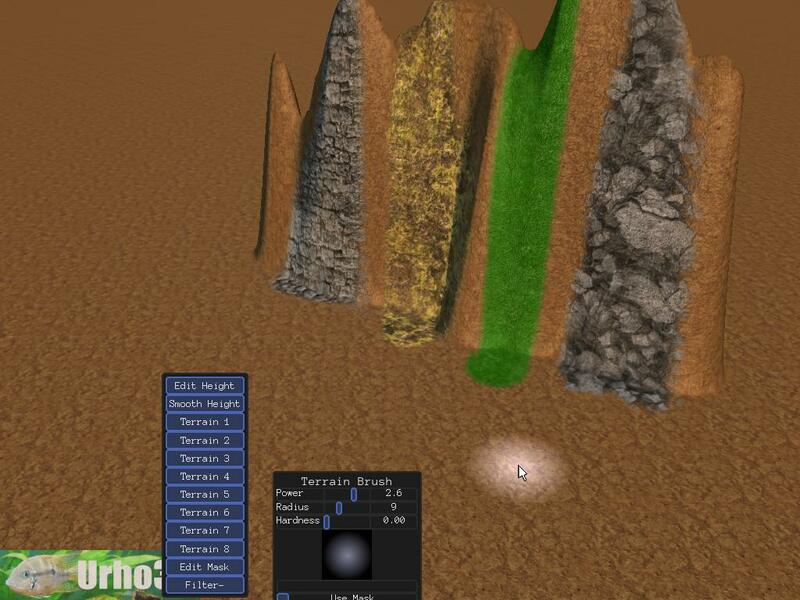 The project is a simple terrain editor built using Urho3D library and its exposed Lua API. It now has shaders that works for D3D9, D3D11 and GLSL. The newest addition in the project are 8-detail tri-planar shaders for both HLSL and GLSL. The tri-planar shader uses the detail blending between layers. It requires more powerful GPU but gives better result than normal-mapping shader. See the difference for yourself.